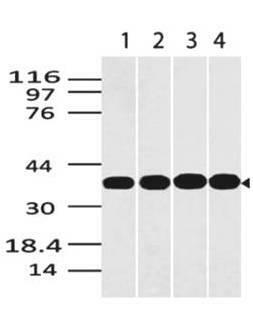 Fig-1: Western blot analysis of Embigin, EMB. 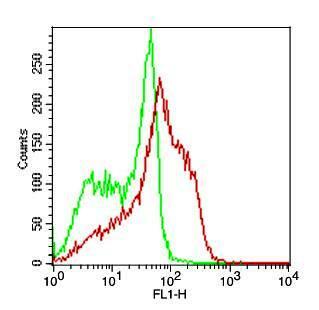 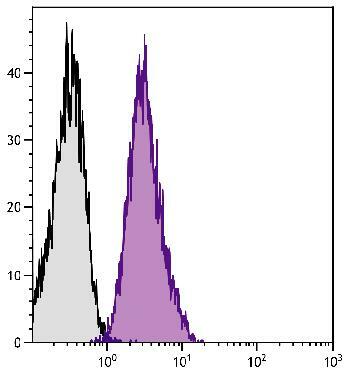 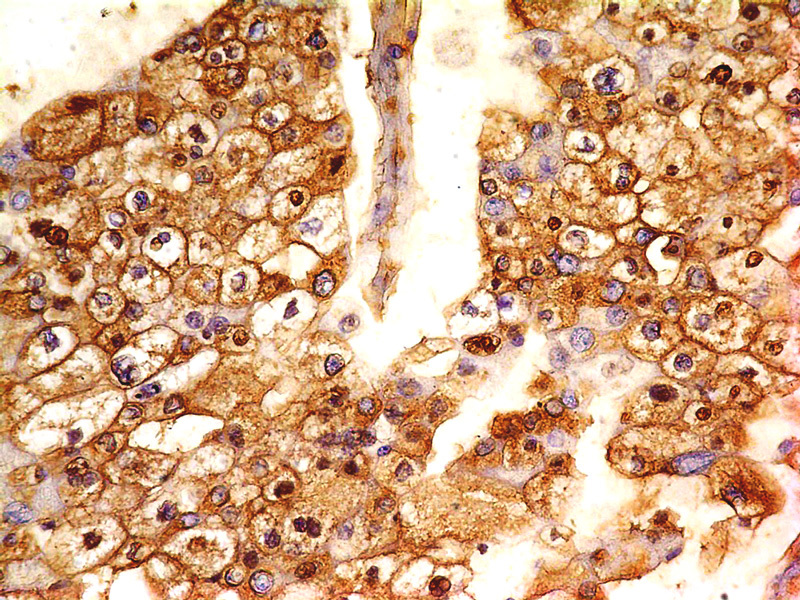 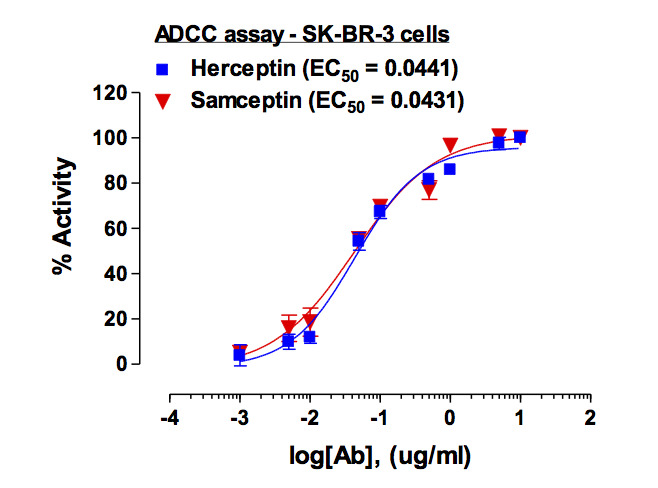 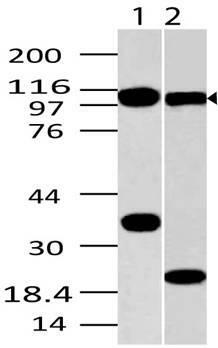 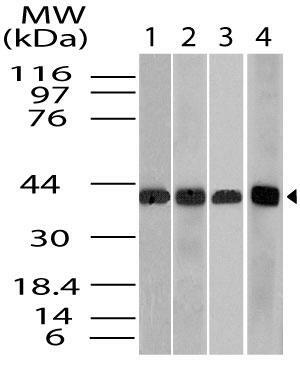 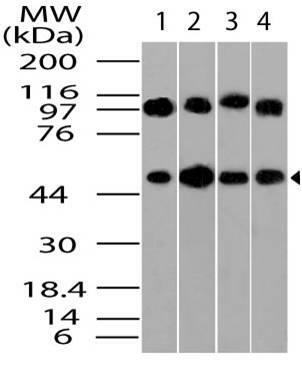 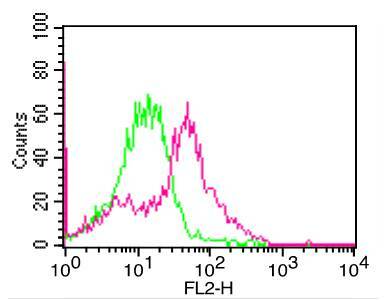 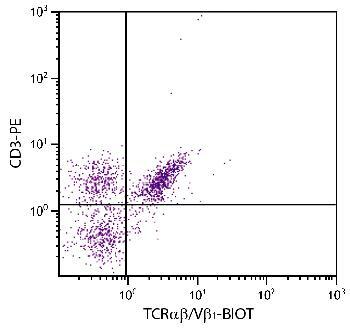 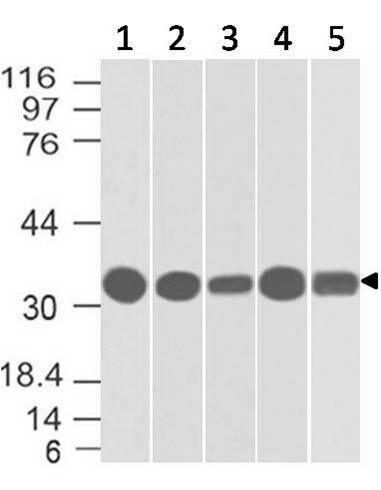 Anti-Embigin, EMB antibody (11-4013) was used at 2 µg/ml on (1) PC3 and (2) Jurkat lysates. 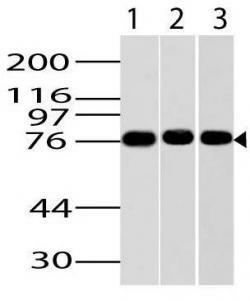 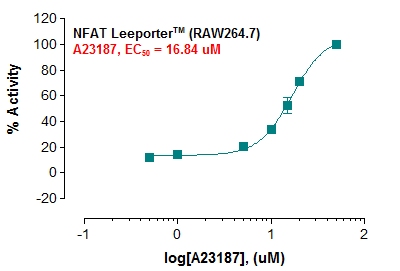 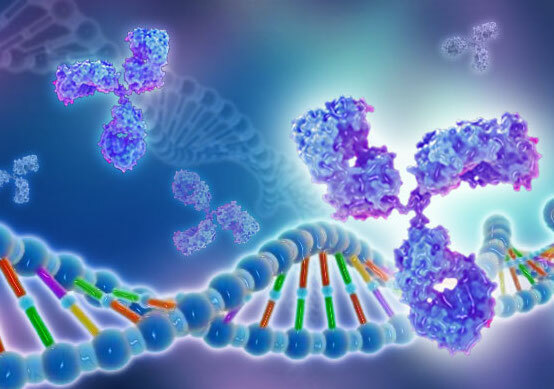 Immunogen Information : A partial length recombinant Embigin, EMB protein (amino acids 100-250) was used as the immunogen for this antibody.